Inspire Someone you love! 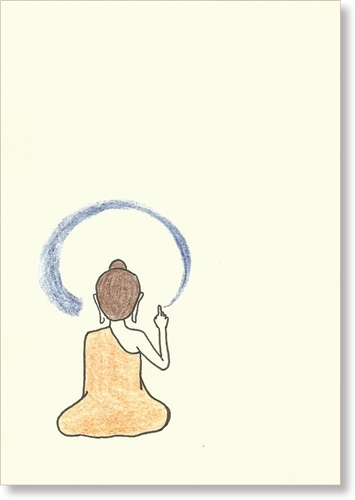 Say it with art quality Buddha Greeting Cards featuring Original Drawings by Dzogchen Ponlop, author of Rebel Buddha. Buddha Calligraphing “Shunyata”, small size, 3.5 x 5".